The Common Hill Myna is a species in the starling family. It is also known as the Hill Myna or Hill Mynah. These birds are native to parts of India and southeast Asia. Because of their ability to mimic sounds, they are popular in aviculture. You can customize this gift! 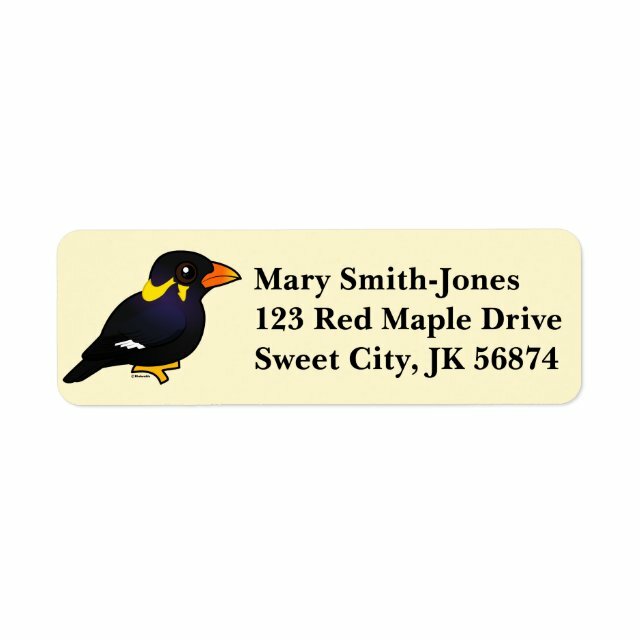 Move the myna around, change the product color or style, add text or images -- make it your own! If you'd like to see the Birdorable Common Hill Myna on a different product not currently available, please send us a message and we can make the product available in our store. Avery® Print-to-the-Edge Return Address Labels are great for all kinds of mailings. Add your photos, images, and text to make the perfect custom label. Inkjet printer compatible. Each label measures 3/4 inches x 2 1/4 inches.